Welcome to my Blogspot Page for ECG Workshops I present on various Cruise destinations for University at Sea. Cruise to CUBA (Nov. 4-10, 2017 — Empress of the Seas, Royal Caribbean) — leaving from Tampa, FL (stops in Havana, Cuba [2 days]; Cozumel, Mexico) — 14 hrs on ECGs. Eastern Caribbean Cruise (April 29-May 6, 2018 — Allure of the Seas, Royal Caribbean) — leaving from Ft. Lauderdale, FL (stops in Nassau, St. Thomas, St. Maarten) — 14 hrs on ECGs. Baltic Cruise (August 14-24, 2018 — Zuiderdam, Holland America) — leaving from Copenhagen, Denmark (stops in Tallinn [Estonia]; St. Petersburg [Russia]; Helsinki [Finland]; Stockholm [Sweden]; Berlin [Germany]; Hamburg [Germany] ) — 7 hrs on ECGs. For INFORMATION regarding University at Sea ( = CEI Conferences) — GO TO: http://www.continuingeducation.net . See Below — for My Previous Cruise Destinations. NOTE: I am the sole CME speaker for the 14 hours of CME (that are given on sailing days — leaving plenty of free time for relaxation and land excursions). All participants receive free copies of my ECG/ACLS books (which summarize key content in the course). TOPICS Covered: — The 2 main TOPIC Areas that I cover are: i) 12-Lead ECG Interpretation (starting from the basics; Systematic Approach; Axis; Bundle Branch Blocks/Hemiblocks; Ischemia/Infarction; Chamber Enlargement; ST-T Wave Changes; WPW; Pericarditis; Normal Variants; Technical Mishaps; How to Use Computerized Interpretations, and lots more! — with plenty of Practice Tracings along the way); and ii) — Cardiac Arrhythmias (starting with basic interpretation — up to intermediate level and beyond; SVT vs Wide Tachycardias; AV Blocks and Bradycardia — with focus on clinical relevance and application). Level of My Presentation — is tailored to the level, interests and preference of participants. No matter what your experience — my content is aimed with the participant in mind. My sole goal is to advance your abilities. ECG Videos: Bundle Branch Block (www.bbbecg.com) — Axis/Hemiblocks (www.axisecg.com) — Brugada Syndrome (www.brugadaecg.com) — QRST Changes/Systematic Approach (www.QRSTecg.com) — AV Block (www.avblockecg.com) — 3-Part Series on Arrhythmia Mgmt (www.aafpecg.com) — 3-Part Series on the Basics of Rhythm Diagnosis (Video #10 — Video #11 — Video #12 ). 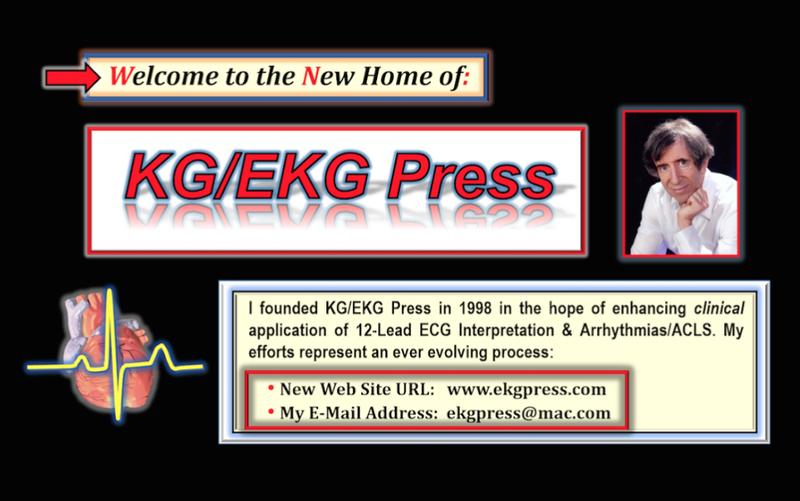 My ECG Blog (www.blogecg.com): — has a wealth of material. For easy reference — Click on INDEX in the upper right corner. Written Material (for this cruise ... ) — http://tinyurl.com/KG-Cruise-Handouts . July 13-22, 2017 — Eastern Mediterranean Cruise (Constellation, Celebrity) — leaving from Venice, Italy (stops in Dubrovnik, Croatia; Kotor, Montenegro; Valletta, Malta; Sicily, Italy; Naples, Italy — and landing in Rome on July 22). Jan 29-Feb 4, 2017 — Caribbean Cruise (Royal Caribbean — Freedom of the Seas) — leaving from Ft. Lauderdale, FL (stops in GeorgeTown, Grand Cayman; Cozumel, Mexico; Costa Maya, Mexico). Jan. 3-10, 2016 — Caribbean Cruise (Royal Caribbean — Allure of the Seas) — leaving from Ft. Lauderdale, FL (stops in Nassau; St. Thomas; St. Maarten). Oct. 10-17, 2015 — Cruise to Canada/New England (Holland America — Veendam) — leaving from Quebec City, Canada (traveling thru Gulf of St. Lawrence with stops in Prince Edward Island; Sydney and Halifax, Nova Scotia; Bar Harbor, Maine — to final destination in Boston, Mass.). June 27-July 4, 2015 — Cruise to Bermuda (Holland America — Veendam) — leaving from Boston, Mass. (spending 3 nights in Hamilton, Bermuda — then returning to Boston on July 4). March 8-15, 2015 — Caribbean Cruise (Royal Caribbean — Navigator of the Seas) — leaving from Galveston, Texas (stops in Honduras; Belize; Cozumel, Mexico). July 14-24, 2014 — British Isles Cruise (Celebrity Cruises — Infinity) — left from Harwich (England) — Itinerary included stops Le Havre (France) — St. Peter Port (Channel Islands) — Cork and Dublin (Ireland) — 2 nights in Liverpool (England) — Glasgow (Scotland) — and Holyhead (Wales). Jan. 19-26, 2014 — Southern Caribbean Cruise out of San Juan, PR (Royal Caribbean — Adventure of the Seas) — Itinerary included stops in St. Thomas; St. Kitts; Aruba; Curacao. Nov. 24-December 1, 2013 — Eastern Caribbean Cruise (Royal Caribbean — Allure of the Seas) — Itinerary included stops in St. Thomas; St. Maarten. May 18-25, 2013 — Alaskan Cruise (Holland America — ms Westerdam) — left from Seattle — stops in Juneau, Glacier Bay, Sitka and Ketchikan in Alaska — and in Victoria, British Columbia. Sept. 16-23, 2012 — Mediterranean Cruise (Norwegian Epic) — left from Barcelona, Spain, with an itinerary including stops in Naples, Civitavecchia (Rome), Livorno (Florence/Pisa) in Italy — plus Nice and Marseilles in France. March 3-11, 2012 — Caribbean Cruise (Royal Caribbean — Navigator of the Seas). March 5-10, 2011 — Caribbean Cruise (Royal Caribbean — Radiance of the Seas). PHOTOS — http://tinyurl.com/KG-British-Isles-Photos . (Additional selected photos to follow ... ). 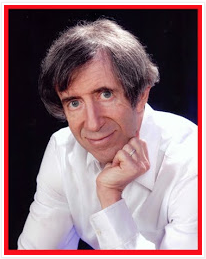 @ Allya Seen — I thank you for (and I kept) the 1st part of your comment ( = "Extremely interesting blog! You bring up the unique worthy topic a finished it with a marvelous course of action. Like very much your post!" ). However, I had to delete your comment from my site, because you then included an advertisement for a fellowship (which is not appropriate to post here).